CLOSED: CORDOBAR SHUT ITS DOORS FOR GOOD IN SUMMER OF 2018. IN ITS POSITION YOU WILL NOW FIND THE FINE DINING RESTAURANT CORDO. The former owner Willi Schlögl is now running the wine bar Freundschaft. Cordobar is an Austrian wine bar that since it’s foundation quickly risen to one of the top wine locations in all of Berlin. 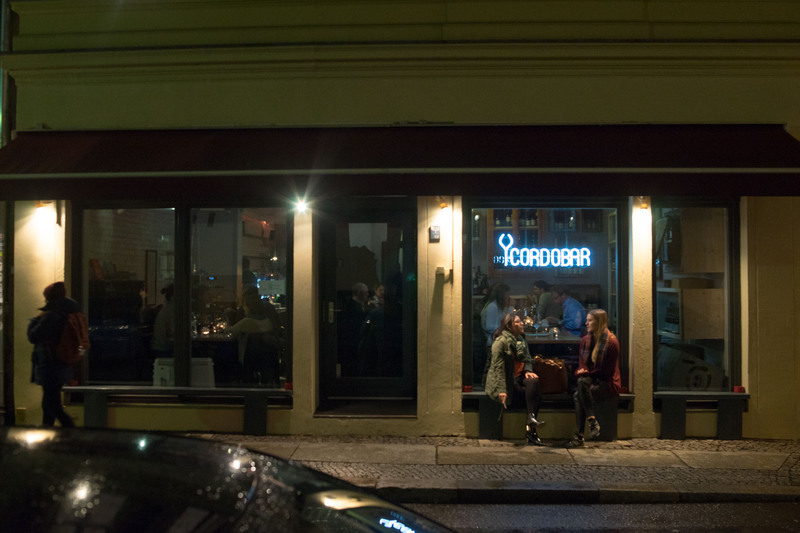 Hailed by German press from day one and awarded with anything from a Michelin Bib to the “Szenerestaurant” of the year by the Berliner Meisterköche, the Cordobar is a modern Berlin success story from day one. My own, initial visits in 2014 never fully convinced me and, true to my philosophy, I never wrote a story about the Cordobar. But after another, memorable visit this year I do think it’s time to tell the story of the occasional brilliance the Cordobar delivers and the institution this place is. The name “Cordobar” is derived from the place where Austria celebrated a famous football victory over the big brother Germany in 1978. An immensely proud moment for every Austrian and now immortalized in the name of a wine bar in the German capital and the audio comment of the match that plays on continuous repeat in the Cordobar bathroom. 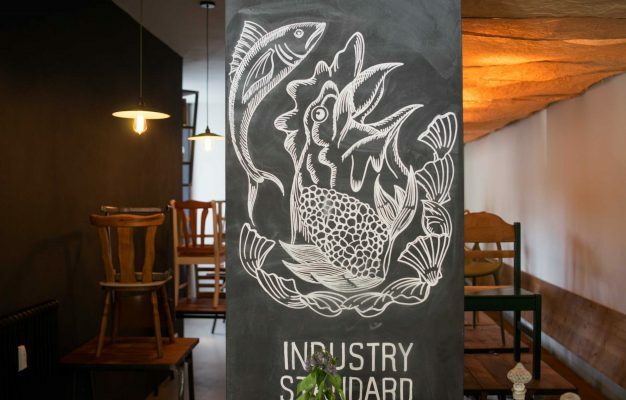 The Cordobar was founded in late 2013 by a crew of restaurant industry people from Vienna and Berlin who saw the need for a proper wine bar in Berlin. Today Willi Schlögl, one of the owners, runs the Cordobar with the young Austrian chef Lukas Mraz. The Cordobar did from the start aspire to be more than a simple wine bar though and today offers a massive and carefully curated list of almost 1000 different wines, ranging from classic bottles to natural ones, across all price ranges. And while the Cordobar predominantly is about wine, there is also a very talented chef cooking behind the scenes. In line with the concept of a modern bistro you can order anything from bar food snacks to larger plates of food at the Cordobar. 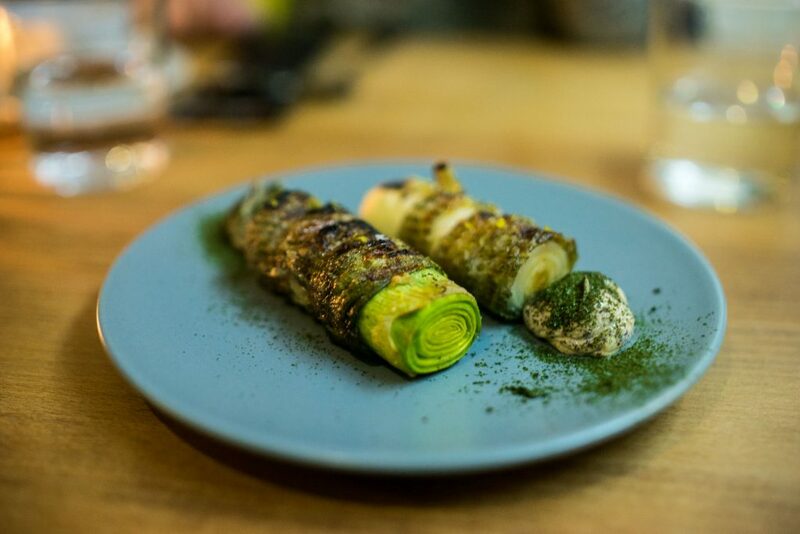 Barfood is ordered per item and examples can include intricate bites like a chargrilled leek wrapped in cod skin and served with a cod emulsion or pearl onions pickled in black vinegar. 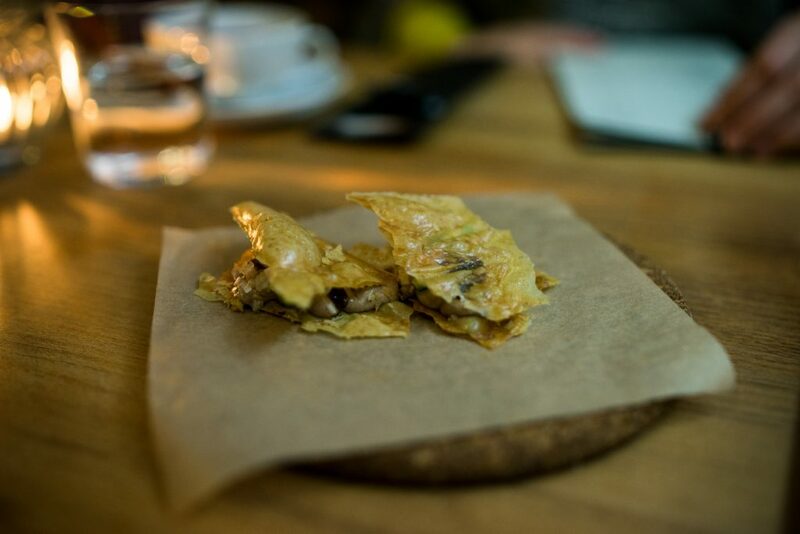 One of the best things I’ve ever had at the Cordobar was a killer peking duck liver parfait that was spread between these amazingly thin and crispy macadamia nut sheets, a creation that was not only perfectly balanced in terms of balance between fat and acidity, but also delivered on perfect consistency when it disappeared into my mouth. The larger plates, categorized as “warm bites” on the menu, showcase a massive width of flavour profiles. 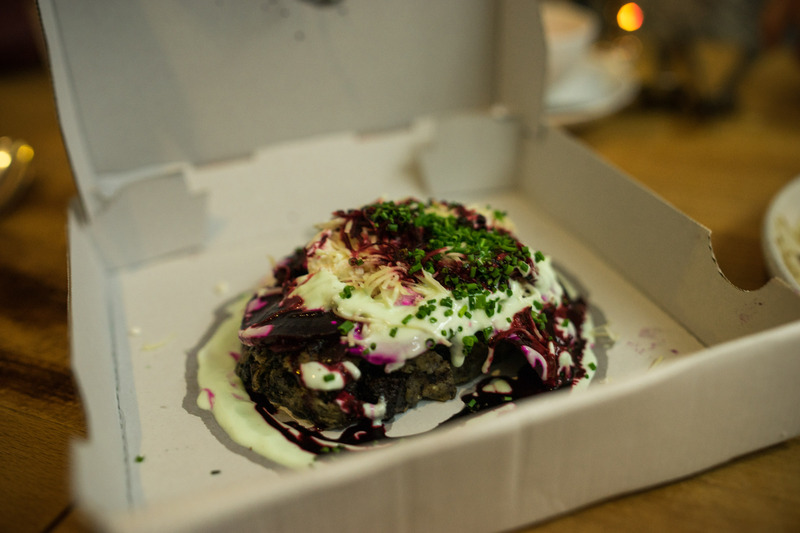 The signature dish of the Cordobar that you’ll always find on the menu is the black sausage pizza, a mix of beetroots, shaved horseradish, feta cheese and wasabi sauce that’s served on blood sausage base to resemble a pizza, delivered to your table in a tiny pizza box. 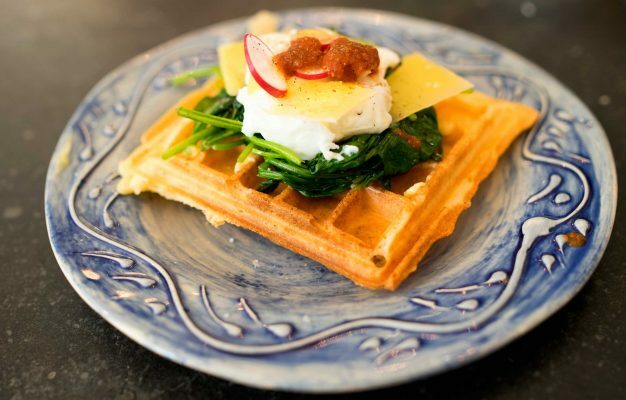 I’ll say it right away, I’ve never loved this dish or fully grasped its popularity. No matter how often I eat it or how much I love the single components, I don’t love the flavour combination and the mouthfeel of this dish. Other dishes convince more, like the smashingly pleasing smoked mashed potatoes with black truffles. 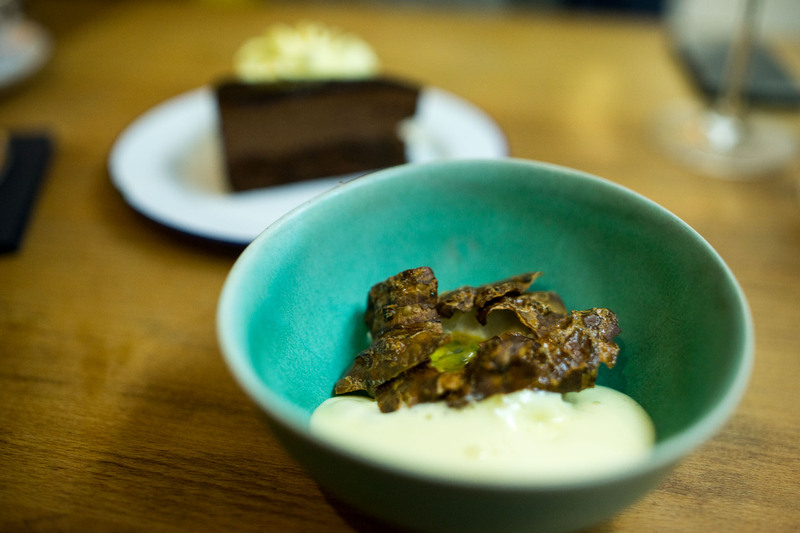 Or the salsify dish that’s paired beautifully with shaved hazelnut and a green and chlorophyll-laden broth. Chef Lukas definitely belongs to the more experimental chefs in Berlin and his food incorporates flavours from all over the world with a strong affinity for Asia. He is skilled enough to successfully execute this concept in most of his dishes, the Peking duck liver parfait is one of them and another example is a Chinese inspired broth with the most beautiful squid ink dumplings and shaved radish. Sometimes he does however go to far and the resulting dishes can stain a dining experience. Like a bone marrow dish where the silky smooth marrow is disguised by an overpowering and unbalanced battery of Thai flavours from a Tom Ka Gai broth. In the end, this is the food at Cordobar. 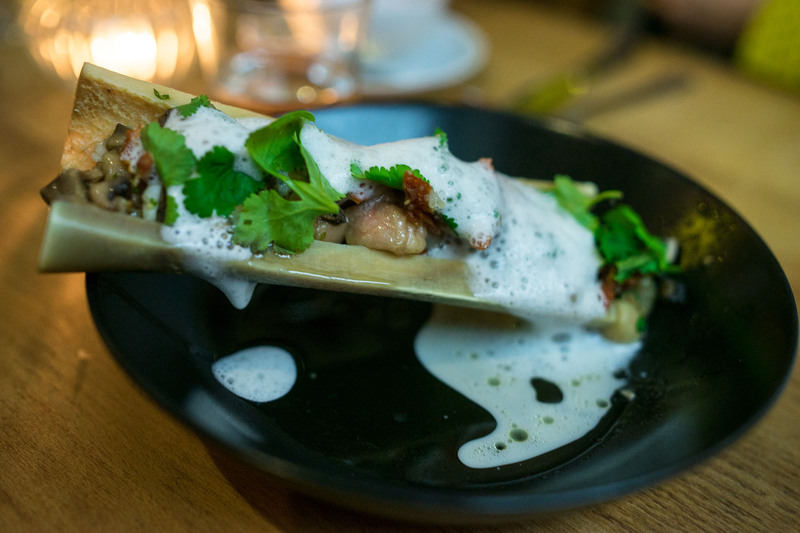 Brilliant and stunningly innovative food mixed with the occasional booby trap in form of dishes that go too far and try to incorporate too many odd flavours and ingredients. Cordobar is ultimately one of the best wine bars Berlin can offer and a notorious hangout for the Berlin wine and gastronomy scene. If you don’t drink wine, this is not necessarily a place for you. This can once in a while show during service, if you’re lucky you’ll be taken care of by the superbly friendly and professional owner Willi, but on a bad day other service members can be weirdly condescending in that way where you feel everybody else is a regular and you’re not. In the end, that might also be true, Cordobar is not only by now the most famous wine bar Berlin has to offer, it’s also the one place where the city’s finer dining chefs and sommeliers hang out over a glass of wine and eat some of the most cutting edge food Germany’s capital has to offer.